This system is a logical continuation of concept of human health estimation by pulse wave founded by a group of authors in 1988 in Vladivostok, Russia. First realization of this concept was presented as a series of PDC (pulse diagnostic complex) and was based on registration of low-frequency acoustic signal of pulse wave by a special sensor. Points estimations - zeroes, extremes, pulse wave phases and their combinations - were used as pulse parameters. The basis for analysis and interpretation method were laws of Yin-Yang, WU-Xing and empirical knowledge acquired during investigation by the use of PDC. to develop technology of pulse wave registration with minimum effect of external factors. Pulse Analysis System was developed to solve these problems. Pulse Analysis System (PAS) is a system designed for complete diagnostics of person's health by means of the pulse wave's analysis taken off by the special sensor. The result of analysis is a complex estimation of functional systems (Elements, Channels) as a health matrix which revealing all derangement in person's health. 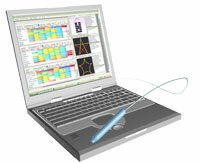 The PAS based on: traditional Oriental pulse diagnostics and modern data processing methods. The PAS is best used for oriental medicine health centers as a diagnostic tool for acupuncture, herbal therapy and other alternative medicine specialists. It also can be used to determine effect of medicaments and food additives. 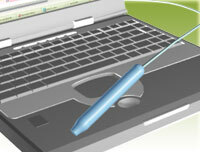 The mobile version, the PAS can be delivered to patient directly (for disabled people) or in the outdoors. This software is used for: diagnostics of person's health, planning treatment, forecasting results of treatment, health monitoring. It uses PAS sensor v3.2 Series for registering pulses.